The stretch of railroad track connecting Howell with Ann Arbor has been called a lot of things over the years: Ann Arbor Railroad, Tuscola & Saginaw Bay Railway, Great Lakes Central Railroad. The most contentious name, however, may be WALLY. That's the nickname given to the proposed Washtenaw-Livingston Rail Line, a 27-mile north-south commuter service that would link together the two cities. It’s a plan that’s earned both praise and scorn, much of the latter coming from conservative-leaning Livingston County. Freight trains, operated by Great Lakes Central, still travel up and down the state-owned tracks between the two cities. Passengers, however, haven't ridden them since 1950, according to the book "The Ann Arbor Railroad" by D.C. Jesse Burkhardt. Under the WALLY plan, four trains would run in both directions each day, stopping at hypothetical stations in Howell, Genoa Township, Hamburg Township, Whitmore Lake and Ann Arbor. According to 2007 survey data, an estimated 1,300 riders would ride WALLY each day, for a total of 2,600 trips in both directions; though a feasibility study is now being conducted to get a more accurate figure. 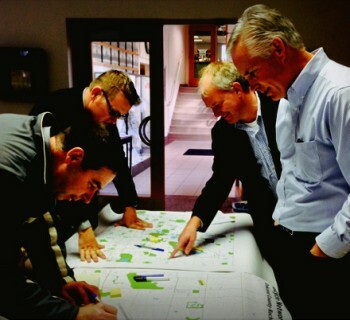 Plans for WALLY first emerged in 2006, put forth by the City of Ann Arbor and a coalition of supporters as an alternative to adding a third lane to US-23. Since then, the Ann Arbor Area Transit Authority (AAATA) has been looking into the viability of the project with help from Michigan Department of Transportation, which has been acting as a liaison with respect to state and federal funding. 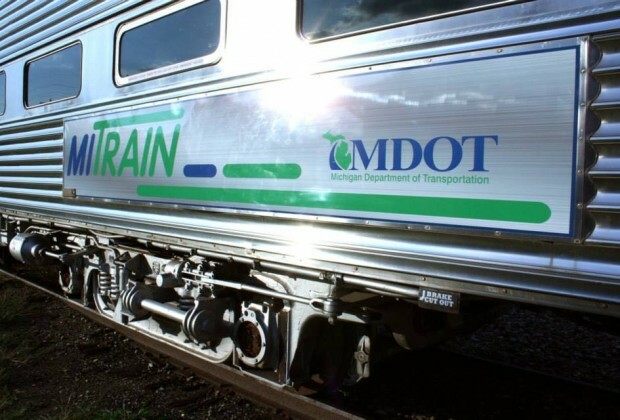 The state agency has spent about $6 Million in upgrades to the tracks, which MDOT Rail Project Manager Kristian Foondle says are part of "routine up-keep on the state-owned freight rail network, consistent with our practices over the last 30+ years of ownership." These include building siding to improve freight train handling, rebuilding several grade crossing surfaces and minor rail replacements and enhancements. WALLY has caught the imaginations of some and ruffled the feathers of others. The group Friends of WALLY, which has an active membership of about 30 people, has rallied around the project, touting its convenience and economic and environmental benefits. A 2009 AAATA study conducted by Ilium Associates of 100 residents from each of the two counties found 80 percent approval for WALLY in Livingston and 75 percent in Washtenaw. The Livingston Daily newspaper, however, has referred to the project as "a money pit," and the Republican Michigander, a Livingston-based blog, derided it as a "boondoggle" that doesn't make sense for the county. Michael Benham of the AAATA says his agency hasn't come to any specific conclusions about WALLY, but he did share some thoughts on the possible perks of commuter rail. "Benefits generally include: a safer, more reliable alternative to the automobile, reduced congestion on roadways, and economic benefits to the community such as increased property values," he says. Howell City Council Member Doug Heins, however, doesn’t look at the proposed service in terms of what it might bring to the region. He sees it as a bunch of numbers that don’t seem to add up. Heins, who previously worked as a Safety Manager with Lansing’s Capital Area Transportation Authority, has three main objections. First, he doesn’t think there are enough parking spots to support a station in Howell. According to the councilman, the city doesn’t have room to accommodate 50 more vehicles, let alone for the 250 spots needed to make the venture cost-effective. Furthermore, he says a taxing jurisdiction would have to be set up to help generate funds to subsidize the effort, and that’s a prickly issue. He is skeptical about that happening, since Livingston residents commute to a variety of destinations, like Lansing, Flint and Metro Detroit, not just Ann Arbor. 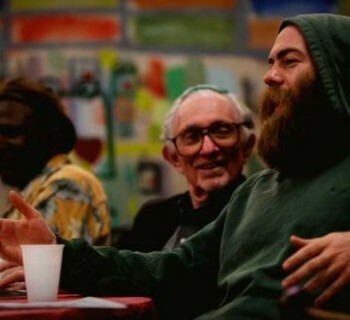 What’s more, he’s doubtful folks east of US-23 or those living nearer to Ann Arbor would use WALLY. Lastly, he doesn’t think rural Livingston County has the population density to support the project. The AAATA’s Benham understands potential stakeholders have concerns. In terms of ridership, he says preliminary analysis suggests “that travel patterns exist today that might benefit from the service.” According to SEMCOG data from 2010, 11,782 Livingston County residents commute each day to Washtenaw County. There are also 6,332 corridor residents employed by the U-M’s Ann Arbor Campus and Health Systems, which has pledged to subsidize their fares if WALLY happens. Federal funding is still very much a possibility too, though the service would need help from local taxpayers to cover operational costs. To do that, though, they’ll need reliable information. That’s why he encourages stakeholders to wait for the results of the current feasibility study being conducted by Smith Group JJR before making up their minds. It’ll take developments like track upgrades into account and also explore the merits of using express buses or high-occupancy vehicle lanes. After the study wraps up in spring of 2016, Benham says the people of the two counties will have to decide WALLY’s fate. 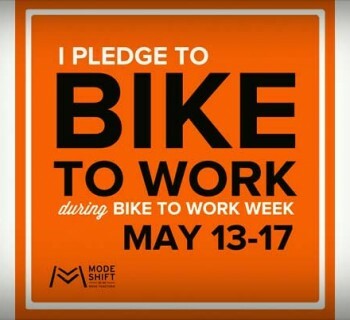 Did you take the Bike to Work Week Pledge?